I soon realised it's actually quite difficult to think of stuff that you used to be into musically, when you are still voraciously absorbing new stuff, or, in my case new old stuff that I enjoy discovering for the first time. This set me thinking about books, unsurprisingly... more specifically books that I enjoyed many years ago. Now being a bit of a book hoarder this is a little easier than music for me, if I've read and liked it, I've almost certainly still got it somewhere! First out of the traps has to be my absolute favourite in my formative reading years, The Lion, The Witch And The Wardrobe: C.S. Lewis. Now as far as standing the test of time is concerned I won't hear a word against this little gem. I think I first read it, (a school library copy) in about 1975,. 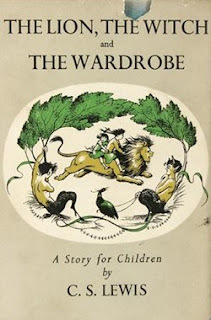 My own copy is about thirty years old, and I have re-read it many times since, so I'm fairly comfortable that it is perhaps one of the best children's books ever written. I moved on to 'High Fantasy' a little while after, delving into Tolkien of course, but this book, and it's companion stories (particularly The Magician's Nephew) put me under a life-long spell. If you don't buy your kids a copy of this, it's probably child abuse. Probably. 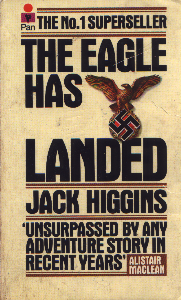 Out of the Fantasy genre now, as I'm sure many of you will be pleased to hear... and on to a book I read in about the mid-eighties, Jack Higgins:The Eagle Has Landed. 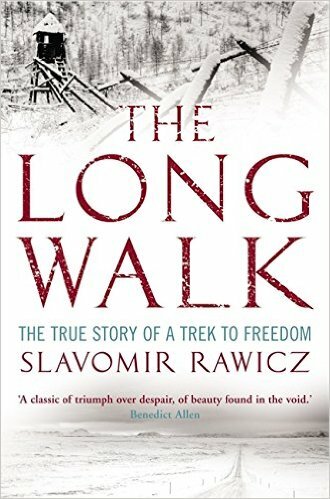 Yes I moved on from Fantasy to War stories... so mature... but the thing I loved most at the time about this book, as a young man who was an avid reader of real-life WWII historical accounts, was that this was my first 'what-if?' story. It also opened my mind to other perspectives. As a born and bred Englishman, for the first time I found myself cheering for the traditional 'bad guys' of my limited cultural exposure, the Germans, and the IRA. I read a lot more Jack Higgins back then on the strength of this, which I recall enjoying at the time but I have to confess that reading one a couple of years back the I'd not read before, I was little disappointed. I'm too scared to re-read this one in case that happens again. Memories are sometimes best left alone. 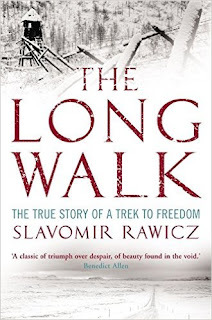 Back in time a few years again, (I know this is jumping around in time like a Tarantino script, but I'm going a little 'stream of consciousness here...) A book that left a deep impression on me in my high school years was The Long Walk: Slavomir Rawicz. It was, as far as I can recall my first exposure to historical biography and I will be forever in my Literature teacher's debt for opening my mind to this field, one which is still a massive favourite. 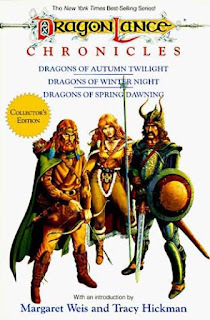 Next up, we bounce forward a bit, to the late eighties, by which time I'm bitten by the historical fiction bug. 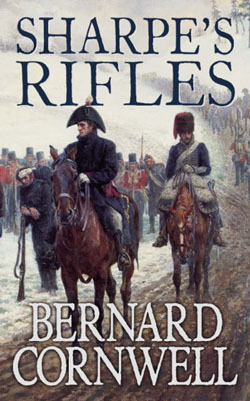 The book that dragged me into this other so-far life-long love, was Sharpe's Rifles: Bernard Cornwell. I've read and re-read all the Sharpe novels literally dozens of times and I still find myself absolutely absorbed. Napoleonic Wars, muskets, swords, heroes, villains, it's got the lot. Probably very much 'boys own' stuff, but I'm a boy. Finally on this little delve into my reading past, I'm going for London: Edward Rutherford. I re-read the paperback version of this so many times it literally fell to pieces, and the replacement hasn't fared much better. I treated myself to a first edition hardback a few years ago which I refuse to take off of the shelf and subject to the same abuse. 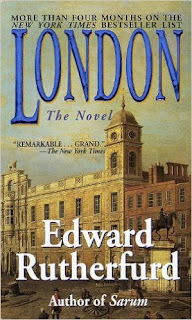 published in 1997, this isn't even twenty years old yet, but it seems like a very long time ago when I first got to know the group of families that are our hosts through thousands of years of London's history. Probably my favourite piece of historical fiction ever. I hope this little dip into my past loves of the literary world isn't too self-indulgent. If you haven't read any of the above, give them a go, you may (or may not) be pleasantly surprised.